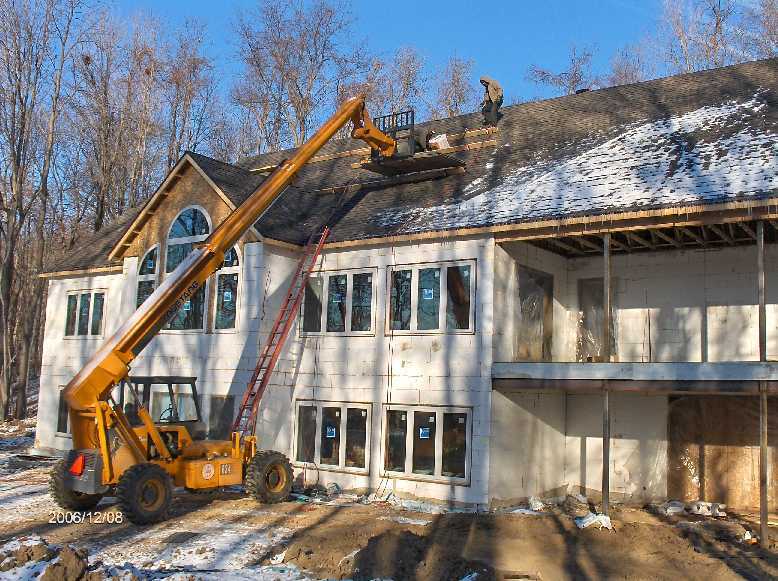 In Our last update on installing roof shingles on the Stehr House in Highland Township Michigan of Dec-06-2006, I had stated that the shingling work should be complete by Dec-07-2006. 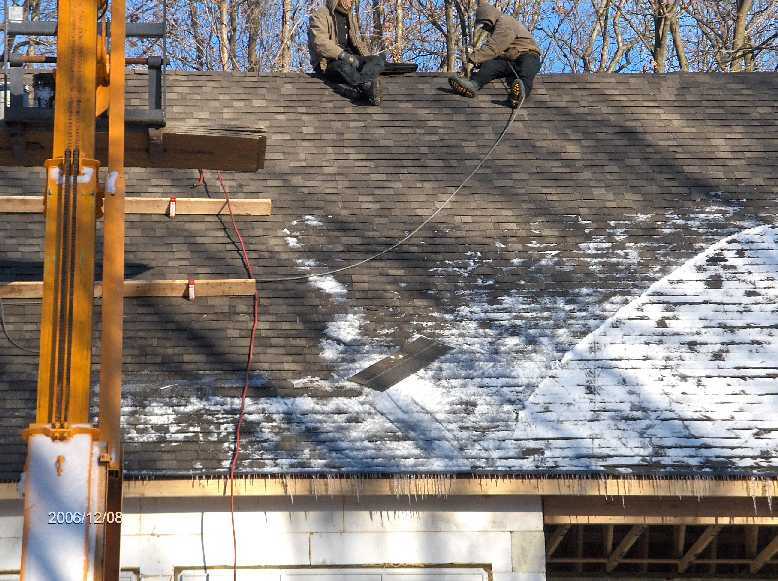 Cold snowy weather held us up a bit and we got the shingling pretty much completed today. You will notice from some of the pictures I have posted that Matt, Damian, Dave, and Kelly got all the shingles on the West side installed. 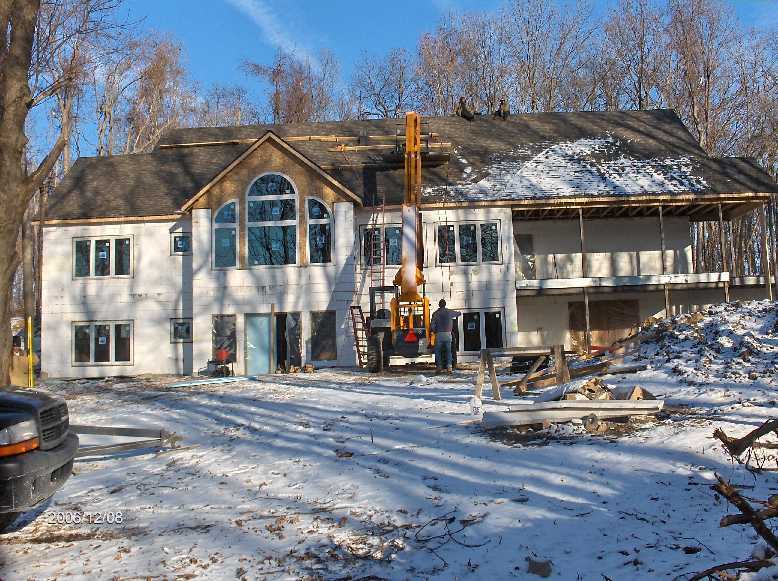 The main house will have polyurethane spray insulation along the roof line and would be totally sealed. 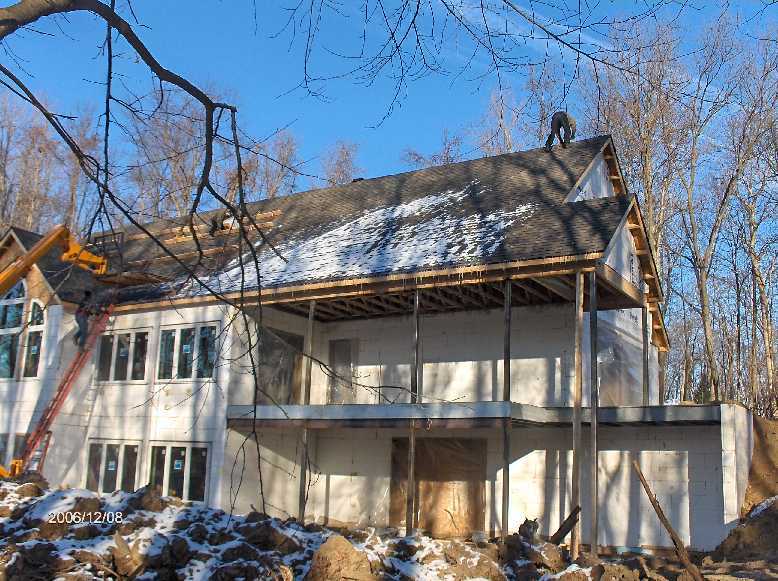 The Garage, and the Porch areas will have ridge and attic vents. The polyurethane spray insulation is planned for Wednesday, Dec-12-2006 -- hopefully weather would permit us to go through with this operation as planned -- I will keep you posted.